Game space has two different meanings. The first meaning applies to conceptual and technical level design as part of the development process. The second meaning applies to a game space that is enclosed by what is often called the “magic circle,” a term coined by Johan Huizinga in his influental book Homo Ludens. Like the book Homo ludens itself, the concept of the magic circle was and remains ludologically relevant, but it can’t easily inform design decisions. Yet, it demonstrates that there are boundaries between regular space and game space that one must cross in order to play, and it is this crossing into game space that we want to focus on in this blogpost. Think of the entrance into a game as the entrance into a place where some of the rules of the real world prevail, some do not, and others are substituted or supplemented by completely foreign, even bizarre rules that the player cannot yet know. Plus, the player cannot even know if any such unknown rule exists! Therefore, as a game designer, you should create transitional elements that lead the player from the outside, i.e., the space they occupy outside the game, to the inside, i.e., the game space as a very special place that we might call “enchanted,” as a hat tip to Huizinga’s magic circle. As an example, lets look at Pwyll, Prince of Dyfed from the Mabinogion compilation of Welsh medieval tales, a tale highly valued by medieval scholars. Pwyll (pronounced, roughly, Pu-ich] decides to leave his palace and go hunting. Together with his hunting party, he travels to the edge of the kingdom and sets up camp for the night. At dawn, he proceeds to his intended hunting ground, where he and his hounds get separated from his companions. They come across a strange pack of hounds with shining white hair and glistening red ears. 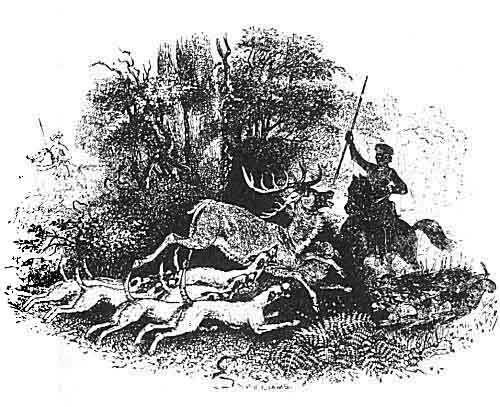 These hounds bring down a stag that they’ve hunted, but Pwyll shooes them away and sets his own hounds upon it. Whereof the other pack’s owner by the name of Arawn appears, who identifies himself as “a King of Annwvyn,” which is the Otherworld of Welsh mythology, and he’s profoundly displeased with Pwyll’s unsportsmanlike behavior. The latter wants to make up for it, and Arawn gives him a set of tasks with very precise rules on how to complete them, all of which require switching appearances first and ruling each other’s kingdoms for a year. Incidentally, this identifies Arawn as a Sìdh (yes indeed, though it’s pronounced with initial »sh« and Arawn’s basically the good guy here), i.e., Welsh mythology’s fairy folks who can change forms, among other things. And here, at this point, Pwyll’s heroic adventure proper begins. This tale contains all the structural principles that you need in order to design passages that lead your player from their own world to the world of the game space. First, you lead the player to the edge where their space ends and your space begins. Second, you lead the player beyond that edge deeper into your game space. Third, you confront the player with the most important rules that apply to your game space, and in a dramatically complete game with story and plot, these will also comprise moral rules. Preference interface. 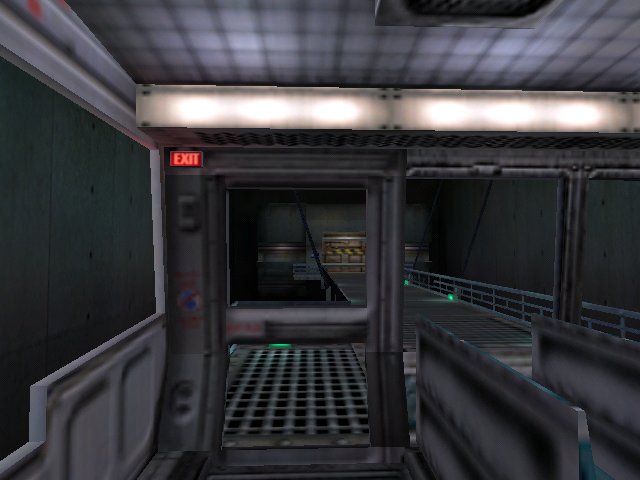 The preference interface is still part of the player’s world, it picks them up and leads them to where the space of their world ends and your game space begins. This can comprise anything from adjusting screen resolution to generating roleplaying characters and beyond. Loading screen. The loading screen leads the player beyond the threshold into your game space, and it has to do this every time, not just once. Introductory level. The introductory level confronts the player with the rules of your game space that they need to master in order to meet its challenges, and that includes the mood. Finally, the loading screen. Once the player has completed the passage and starts journeying through your game space, your loading screen will play an important role. It has to function as a constant reminder of that initial passage by way of repeating that passage in a nutshell each time the player fires up the game to continue playing—through a picture, an animated effect, a musical theme, a set of distinct sound effects, and similar. Pulling this off is difficult, and you should start by analyzing how the loading screens of great games draw you into their respective game space every time, reminding the player again and again, without fail, of the mood and the rules that apply to it. Unfortunately, there’s always the danger of falling back into one’s habits. So if there’s one thing you should remember, it’s this: passage is structure, not story. It’s not about challenges or plot points, it’s about rules and mood. As a passage, it should serve as an introduction when the game is played for the first time, and from then on, well-chosen details of it should serve as a reminder every single time until it is finished. Half-Life. Valve. Sierra Studios: 1998. The Mabinogion. Transl. Lady Charlotte Guest. 1877. 339. Bates, Bob. Game Design. Boston: Thomson Course Technology, 2004. 2nd Ed. 99. Huizinga, Johan. Homo Ludens: A Study of the Play-Element in Culture. Unknown Transl. London: Routledge & Kegan Paul, 1943. Orig. Dutch: Homo Ludens. Proeve eener bepaling van het spel-element der cultuur. Groningen: Wolters-Noordhoff, 1938. The Mabinogion. Transl. Sioned Davies. Oxford: Oxford UP, 2007.